3,,,thee's several game plans i have in mind for you tenere riders..from least to more expensive$$$. 2,,WaspWorks decal kits for the XT1200Z Super Tenere - Free Shipping!!! 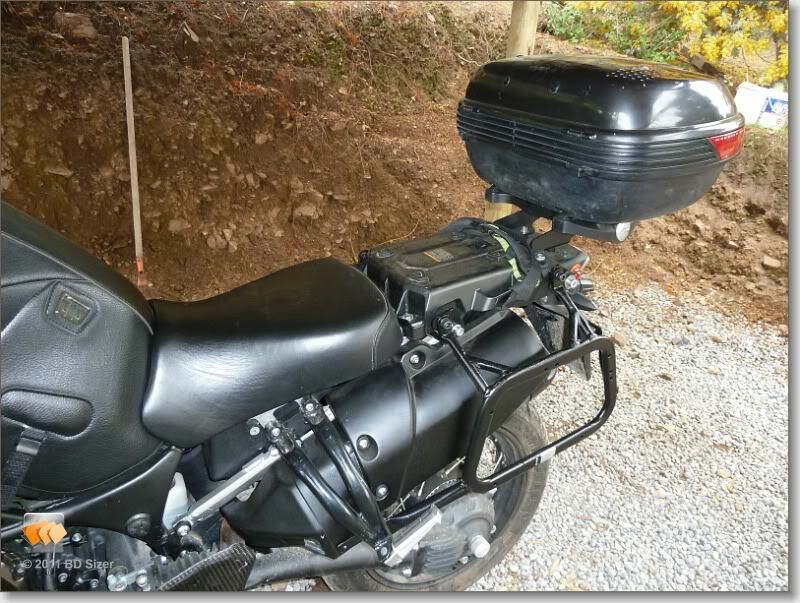 So what is this ST1100 Super Tenere? 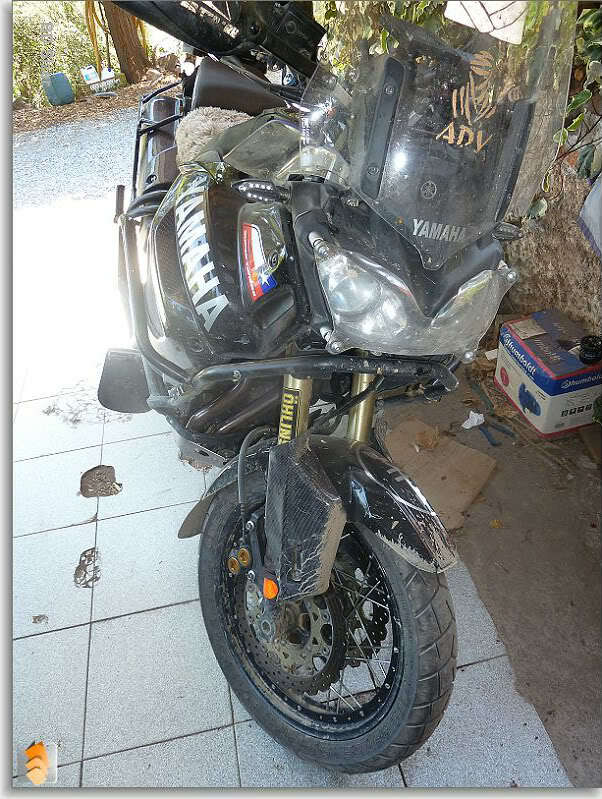 I thinks it's an XT1200z Super Tenere Woody. Hey, he does know WHEELS. Hi Woody ... been thinking the conversion but with the OEM hub and disks replacing the rim and spokes ... I would take care of the fender and brake lines ... that way we would keep the electronics (ABS and Traction control). well that is one road to Rome,,that's option ''b'' i wrote of in my post,,,using the oem hub n discs keeps all your ABS and traction control capabilities..
or ya can switch to a 21''too for improved off-road capabilities. what say you all to that??? thanks ,,,corrected,,,what was i smoking??? Do you include some with the wheels? Seems like you are busy over there.. I like a lot the idea of a 21 wheel to improve off road capability and the ground clearance. But also I dont like to loose the ABS anb TC. Its not possible to keep them with the 21 wheel? Hi Woody ... If I send you a hub (OEM) could you fit the 21" rim (1.85 or 2.15) with SS spokes? ... the dual ss brake line kit is interesting and would be great if supplied from the brake calipers up to the distribution manifold only ... the upper hoses to the brake/clutch deposits have been modified in length (+ 1 ") by somebody in USA so no work to be done there ... when the kit is ready let me know so I can work on modifying the front fender raising it a couple of inches. Remember I have all plastics duplicated in fiberglass so making a front fender is simple, then I would have a 19 and 21 set for city and offroad use with different tyres. The back wheel setting would only need the braided ss brake line kit. we can make all of it happen,,,tentatively,, i should have a Super T in my shop shortly for last minute measurements..,,if ya have no designs on the rest of the rim n spokes,,it would help me greatly to have them for show n tell,,,before n after pics etc. i assume ya want a black rim?? I like a lot the idea of a 21&#8221; wheel to improve off road capability and the ground clearance. But also I don&#8217;t like to loose the ABS anb TC. It&#8217;s not possible to keep them with the 21&#8221; wheel? as long as you keep your hub with the sensor ring [option ''b''] you should be fine.....remember 'option ''b'' is a Superlace kit using your oem hub as a basis for the build. FYI,once we get another oem wheel in ,,,we are going to double check the feasibility of just going for a Superlite hub incorporating the TC ring/sensor..
any busted Tenere wheels out there as organ donors for this project??? Ok. Then probably option b is the best for me. The different rim diameter doesnt affect the ABS or TC? i'd like to give you a definitive answer on the 21'' conversion,,,what i can tell you is that on all the bmws..ktms etc that we have swapped wheels we have had no issues...nor have i heard of any,,,now this bike with TC,,,??? Well those wheels ya sent me for me CRF 450 are bloody great mate. Bloody brilliant...And the misses loves the shirt. Now for my next problem mate. I saw ya thread on Wasps, (gregs) site for wheels for them new SuperTens. I have meself a 2010 SuperTenere and am wanting to change that front wheel of mine to a 21inch to improve off road ability, (In black) the only problem is that I want it to look as original as possible, can this be done???? I read ya options on gregs site and option B is for me but I am keen to keep the OEM braking systems for ABS etc. Look forward to your reply, I have been a bit slack and will do a bit more research on her with regards to this changeover over the next few days. You are a bloody top bloke Woody. Thanks for getting on top of this for us. Look forward to seeing the product. I reckon I will just go with the complete set, both front and back excel rims in black. Could I go with a 4x17 rear like whats on me big Kato at the moment. I like the way those 908's fit on those 4 inch rims, They look so tough, should clear the swing arm.. I will be in Dever in August. If i give you enough warning can you install new rims and heavier spokes on my Tenere ans still keep the ABS, Traction Control and tubeless tires? Will the BMW GS rims work in the design? I'm subscribed also. Put me in the camp to keep the UBS ABS and TC, works great off road.